The former Clapp Recital Hall Casavant Organ is now the Krapf Organ in honor of Gerhard Krapf, founder of the University of Iowa Organ Department and former elder of St. Andrew. 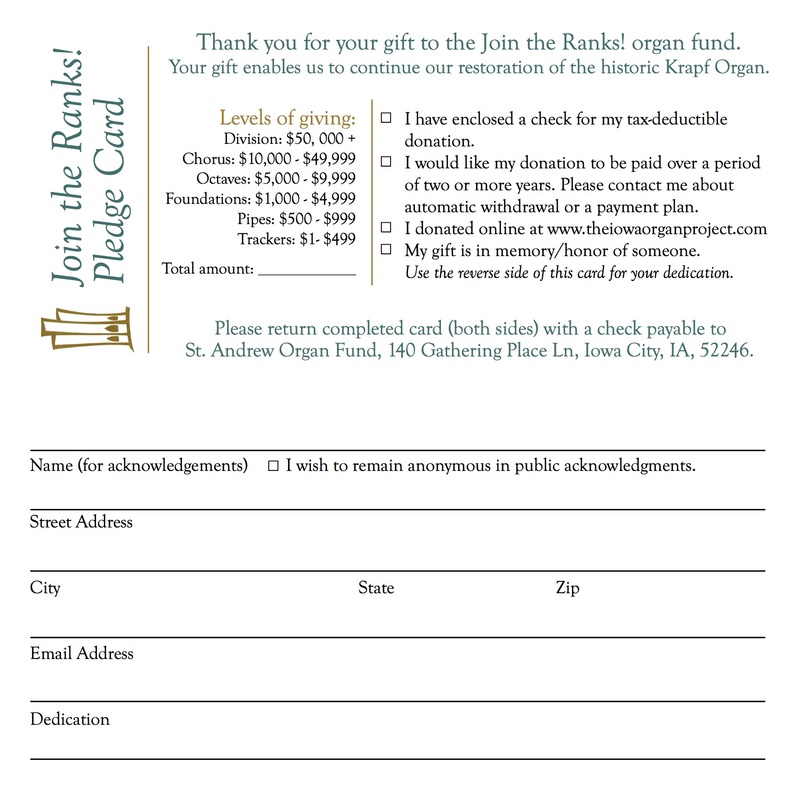 This page is dedicated to the restoration of the organ and to raising funds to make this all possible. Scroll further down to look at our gallery and discover how you can participate in this amazing opportunity to play a role in bringing part of Iowa City's past into the future. For answers to Frequently Asked Questions (FAQ), click here. community treasure to be shared with those communities.